Sopapillas, The Homesick Texan Cook Off…. I had never heard of these little golden puffs of enchantment until they were listed as one of the recipes in my Homesick Texan cook book cook off. I really didn’t know what to expect when I started to read the recipe. 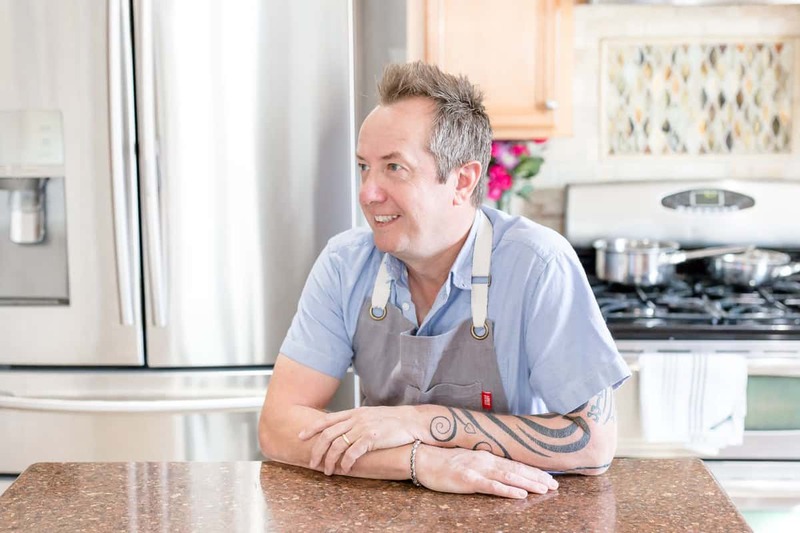 The ingredients are really simple and probably in most peoples kitchen right now but the books author, Lisa Fain tells us how after a giant Tex-Mex meal she still could not say no to some sopapillas. I can understand now why she makes that statement. These gems are light and puffy with a fairy dusting of cinnamon and sugar and if that’s not enough to get you ransacking your cupboards for the dried yeast and flour then drizzling honey over them while still hot will! Heat 3 inches of oil in a large pot to 350 degrees. Fry 2 triangles at a time in the oil for 1 minute each side. The dough should puff when it hits the oil. 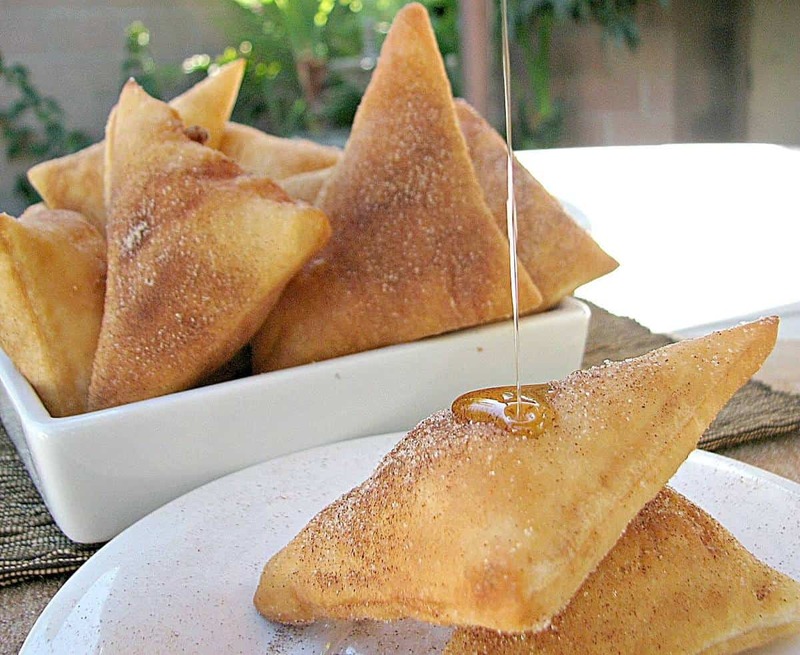 Drain the sopapillas on some kitchen towel, then sprinkle with a mixture of 2 Tbsp of cinnamon and 2 Tbsp of sugar. Serve hot with honey. These beauties look like some kind of amazing! I didn’t make them this week, but may soon! Can’t wait to see what you do for bloggers’ choice next week. These look like a puffy, unfilled version of samosas. I’ve never heard of sopasillas before this, but you’ve convinced me to make them for breakfast somehow! Glad that you liked Adele, isn’t she just a superb singer? beautiful pictures! And uh…no comment on the “cream” thing ;P ha ha ha…. Forget their cringing, I’ll take some cream in mine and honey on top! As always, your photos are breathtaking and have me drooling! I love these! Yours look just like the ones served at our Mexican restaurant down the street. These are some of the prettiest sopapillas I’ve ever seen and I used to live in Denver! I miss those great mexican restaurants and these sweet treats took me back. Have a great weekend. Yum! Those look delicious! Love the pic you caught of the drizzle of agave! Thanks for sharing. OH my gosh I LOVE sopapillas! Yours look awesome! Yum, I had to Pin your photo with the drizzle. Wish I had some now! They look fantastic for sure! Great pics! they came out great!!! love the drizzle..yummy! 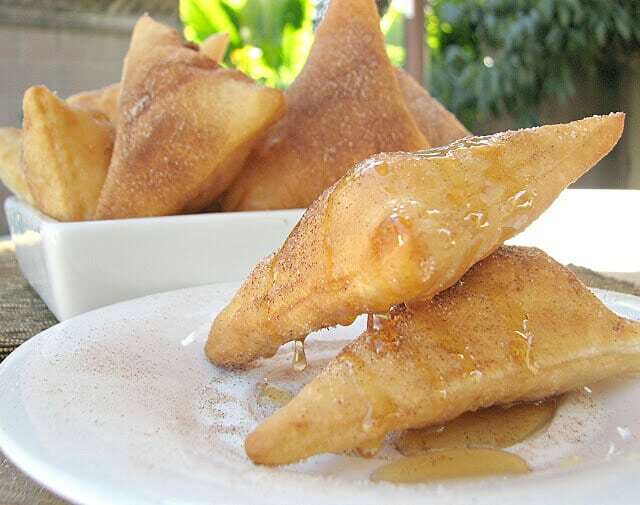 Sopapillas are so good,such a treat! I love the photos and the post. I love sopapillas! Living in New Mexico, they are as common as chips and salsa in any New Mexican restaurant. Yours look absolutely wonderful! geeze, i am really kicking myself for not making the sopapillas. in the words of dr. phil…what was i thinking?! 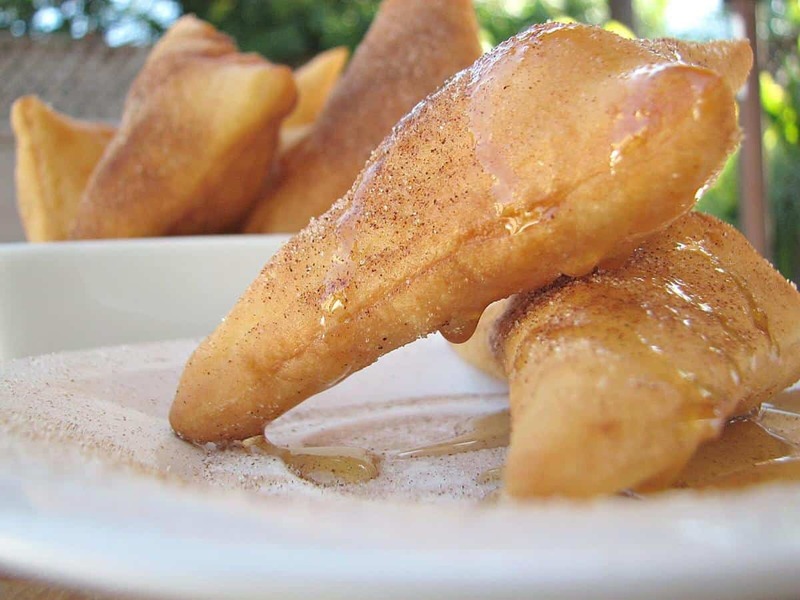 The photo of your Sopapillas with the honey dripping off is outstanding! All my Sopapillas are gone now and I sure wish we had some more. Hope you are having a great week and thanks for sharing. It has been fun cooking with you!